Fiona joined the Practice in 2002. On the 7th July 2005, whilst on her way to work, she was tragically killed as a result of the London bombings. Fiona will always be remembered for the major contribution she made to the Practice. She was a hard working, conscientious, and dedicated criminal lawyer. Her sense of fun and enjoyment of life continues to be missed. Fiona was an experienced criminal practitioner coming from a background long associated with the representation of clients charged with all types of criminal offences. Fiona became involved in the main areas of expertise associated with Reynolds Dawson including serious fraud, extradition and regulatory work. She was a Duty Solicitor both at Court and the Police Station and maintained the high standard of advice and representation offered to clients by the firm. In 2005 Fiona took a 3 month sabbatical to Belize to assist in advising the Government on the establishment of appropriate practices within the criminal justice system as it created a new childcare policy. Whilst in Belize Fiona was very conscious of the difficulties that many children there face in developing life skills, and was concerned by the number of drownings that occurred due to children not learning to swim. Fiona’s family and friends, along with the Belize WYCA and Liberty Foundation set about using funds raised in Fiona’s memory to develop a programme to provide swimming lessons for disadvantaged school children along with water safety classes for their teachers. 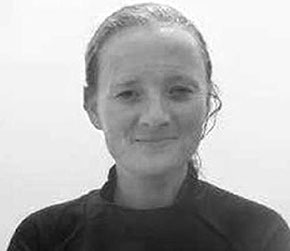 The Fiona Stevenson Memorial Fund raises money to help establish a swimming program for disadvantaged school children, along with water safety classes for their teachers. Please visit Liberty Foundation for more information or to make a donation.